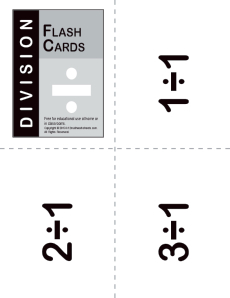 Help your student learn basic division equations with this set of flashcards. Just print out, cut and you are ready to start. He'll be a division whiz in a flash!